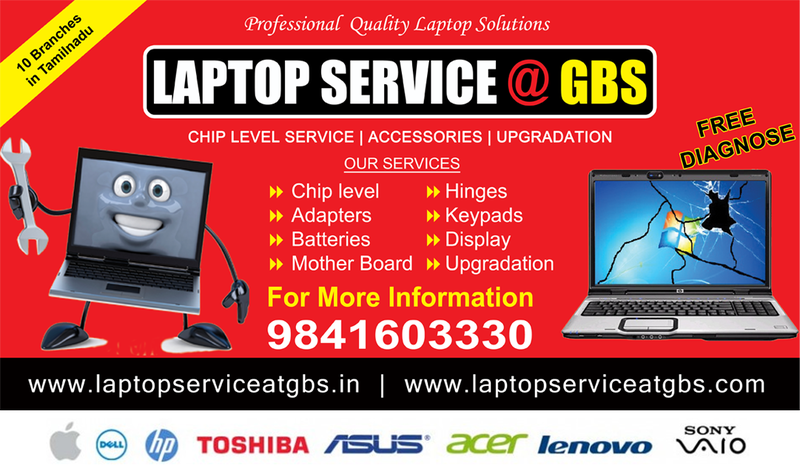 Laptop Service GBS @ Chennai : Professional Quality All Branded Laptops Repair Center Chennai, Also sell genuine laptop spare parts and accessories best price. 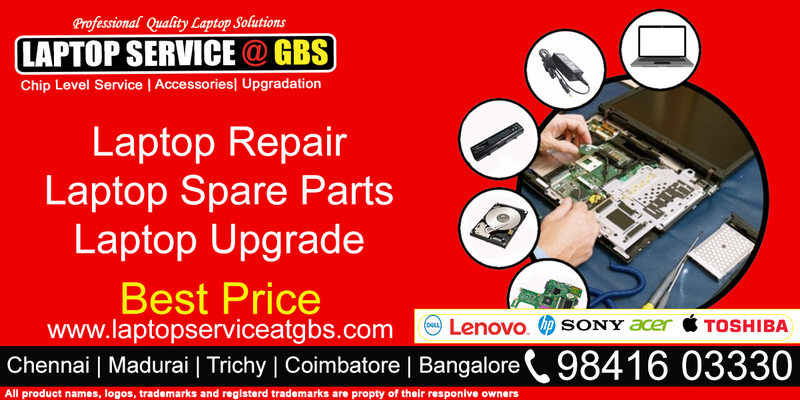 Visit our Laptop Service Center in Chennai - Get perfect solution for your fault laptop. 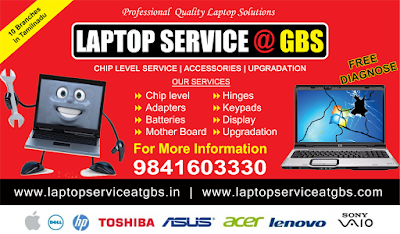 Call Laptop Service Chennai 98416 03330. 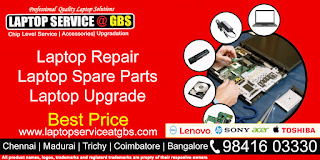 Laptop service gbs service centers in chennai locations are OMR | Tambaram | Anna Nagar | KK Nagar | Velachery | Madipakkam | Adyar | Chrompet | Porur | , if any kinds of laptop repairs or problems , visit your near gbs laptop service center in chennai or call our customer support +91 9841603330 get more information.